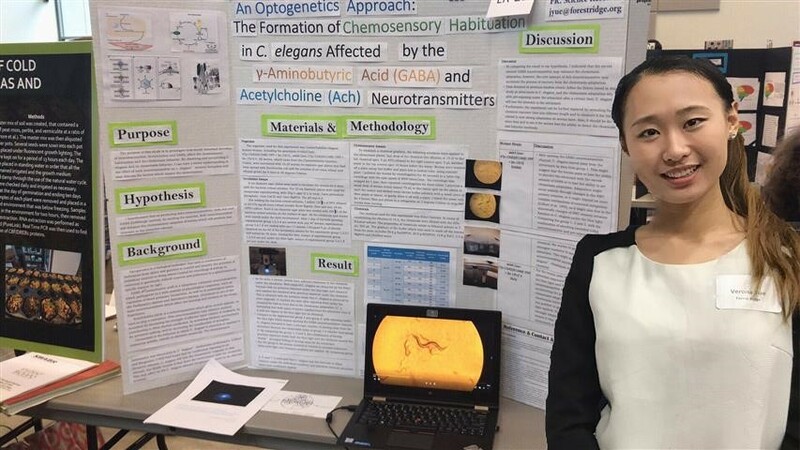 Each year, WSAS selects a group of Washington high school students to attend the AJAS conference, held in conjunction with the annual meeting of the American Association for the Advancement of Science. At the meeting, AJAS awardees will present their research projects and will have the opportunity to meet with accomplished scientists and visit world-class facilities. WSAS solicits donations and corporate sponsorship to support travel and registration costs for the students. This year, WSAS would like to thank the generosity of our members, the STEM education community, and our corporate sponsors Boeing and Vulcan. The students chosen to represent WSAS at the AJAS conference are listed below along with bios describing their interest in science and research and their other interests. Nikhil is a junior at Kennewick High School and an avid technology enthusiast. His passion for technology began when he participated in his local First Lego League (FLL) competition. There, he learned about how technology could be used to aid people. After competing in FLL for 5 years, Nikhil continued to return to the competition as a volunteer. 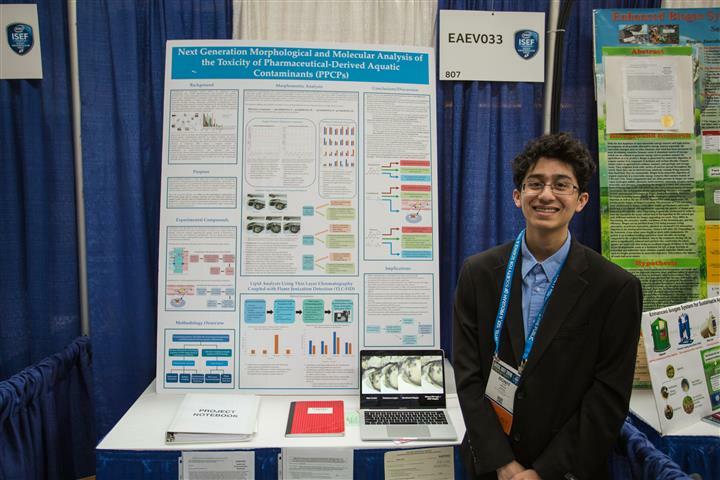 Science fairs have given him the opportunity to combine his interests in computer science and electrical engineering to develop technological solutions to everyday problems. His past work includes construction of an inspection robot and development of a low-cost air quality monitor. 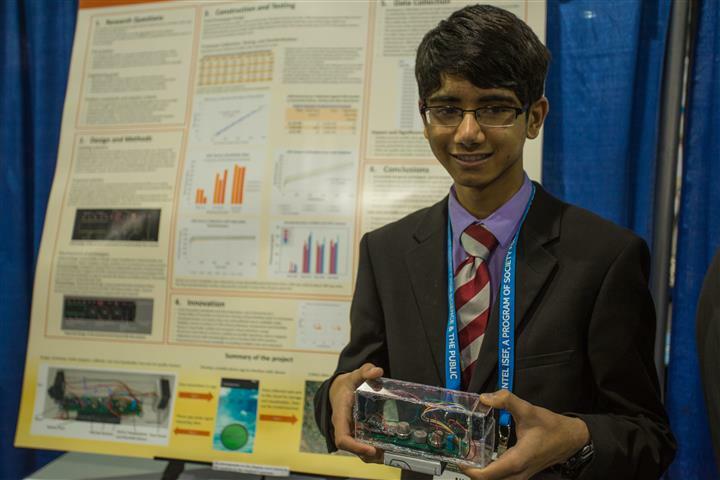 Nikhil works with his school district to increase student participation in science competitions. Apart from being the president of the Robotics and Technology Club at his school, he also represents his school in the Department of Energy’s Science Bowl. As an Eagle Scout, a considerable portion of Nikhil’s time is devoted to community service activities. In his free time, he enjoys a diverse set of activities like mountaineering, hiking and playing the saxophone. Ronit has always loved all things environment. His past project focused on examining the toxicity of pharmaceutical aquatic contaminants and his work has been recognized at multiple venues, such as the Intel International Science and Engineering Fair, Junior Science and Humanities Symposium, and MIT THINK. Additionally, he has had the opportunity to work at multiple environmental science research institutions, including NOAA and the UW College of the Environment. Ronit is also the founder of SproutingIndia, an environmental organization that seeks to address the air pollution crisis in India, and hopes to continue exploring the intersection of environmental science and social advocacy. Outside of the lab, you can find Ronit listening to music, watching the pitter-patter of rain on a window, or napping. Savitha is a junior in the International Baccalaureate program at Interlake High School. She is passionate about computer science and loves exploring its interdisciplinary applications to medicine, biology, and art. She has worked on several computer science projects that seek to tackle challenges in medicine and biology. Some of her past projects include developing a machine-learning algorithm to predict enhancer regions implicated in polygenic diseases, and a neural network model to diagnose melanoma from dermascopic images. 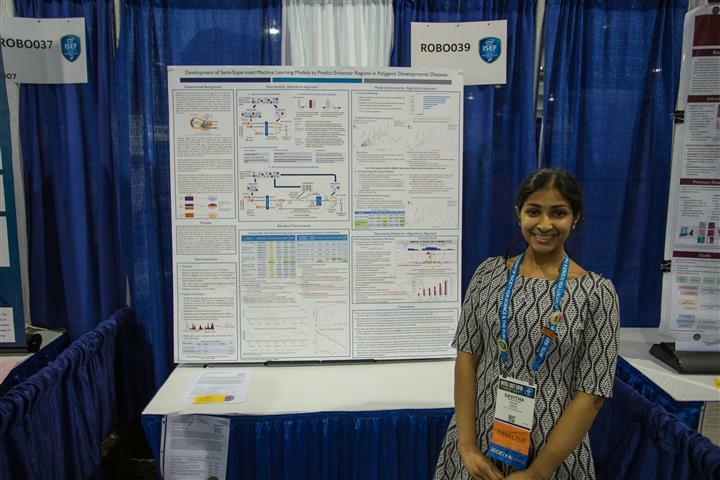 Savitha’s research has been recognized on both state and international levels at competitions such as the Intel International Science and Engineering Fair. Savitha also holds various leadership positions. She is the founder and president of Interlake’s Future Business Leaders of America Chapter and secretary of the Science National Honor Society. She is an accomplished Indian Classical dancer and violinist. In 2014, she co-founded Art You (www.art-you.org), a youth-driven non-profit that seeks to promote awareness of classical and cultural art forms within the community. In her spare time, Savitha likes to browse through research papers on PubMed, travel, and bake. Savitha plans to pursue a career in health technology and research. Verona Yue attends Forest Ridge School of the Sacred Heart in Bellevue, WA. She has been passionate about genetics since she went to the Cold Spring Harbor Laboratory in middle school. She has been honored with a science scholar award and the “Best in Subject” award in science by her school for the past three years. Her earlier research project was about cilium defects. Now, Verona is working on projects related to optogenetics. She interns in the Liachko Lab at the Veterans Administration Hospital, Seattle, and plans to be a researcher. She also loves painting and playing softball.